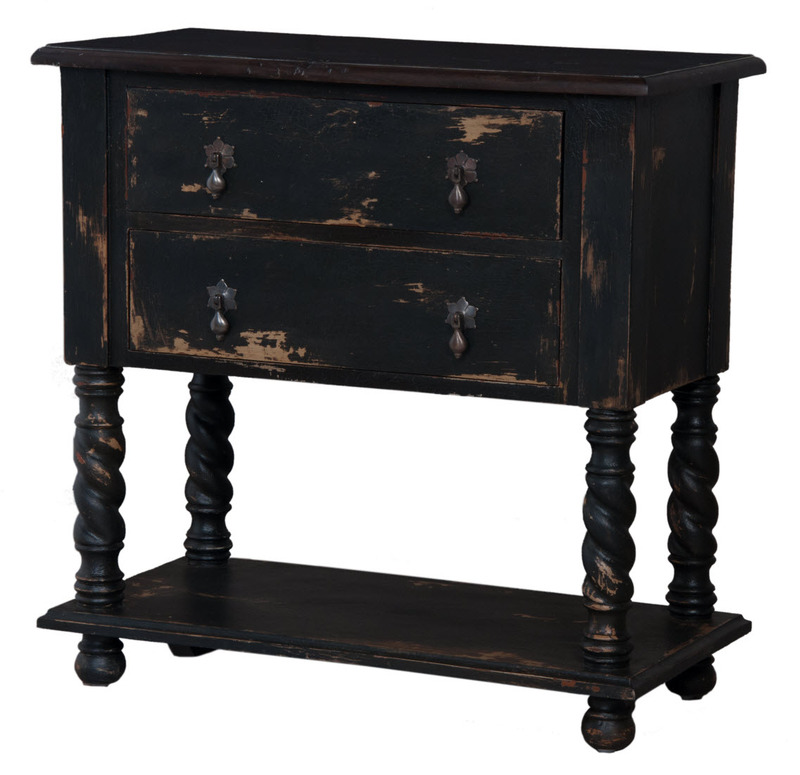 SIDE CHEST - Side Chest with Barley Twist Legs and Two Drawers. Top in Heritage Grey Stain finish and base in Crossroads Black finish. H 30" x W 30" x Depth 15"